A configuration management database (CMDB) is a time-tested method for organizing configuration resources and minimizing IT downtimes. But a healthy, high-functioning CMDB doesn’t happen by chance – instead, it requires methodical planning. 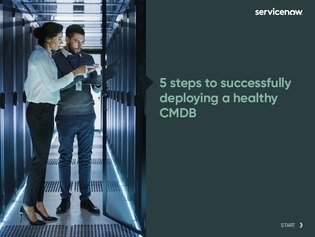 In this guide, you’ll get the chance to flip through five CMDB best practices for planning, executing, and sustaining a configuration management strategy that matches your enterprise’s needs.